I am a Marriage and Family Therapist, licensed in California (MFC #34901), a Consultant specializing in InnerEthics™, and an author based in the Santa Cruz Mountains. Welcome to my site. The InnerEthics™ model clarifies the unique ethical territory of understanding and working skillfully with clients who are experiencing profound and extra-ordinary states of consciousness. This model also covers the basics of ethics, transference, and countertransference, with an emphasis on relational ethics to prevent client harm and increase client benefit. Two approaches to ethics, external (learning ethical codes, laws and guidelines) and internal (learning about ourselves in relationship through InnerEthics™) are complementary and complete a holistic approach to ethical discernment and behavior. Ethics is the study of relationship. Transcending the limited viewpoint that we are unrelated, wholly separate is essential for ethical development. We are interconnected in the web of life. We are all in this together. When we begin to widen our view to see and honor a web-like context of relationships, we speak and act more ethically. Relationship itself is at the heart of healing. And ethics and integrity are at the heart of any healing relationship. If you are a mental health or medical professional, leader, mentor, employer, educator, or wellness therapist facing an ethical challenge in relationship with colleagues or clients, I’d like to help you review your goals, values, and intentions. My special area of ethics expertise is the conscious impulses and unconscious motivations that can draw us into unethical behavior. As a consultant and your ally, I would help you gain insight and clarify what is “right relationship” in your particular ethical situation. We will use the InnerEthics™ model to guide a process of compassionate self-inquiry and decision-making. To help you create or renew a personal ethical code, we may explore the Professional Vulnerabilities to Ethical Misconduct Chart and the four Keys to Professional Ethical Behavior, examples of additional resources available to tailor a consultation specifically to your unique situation. Learn about InnerEthics™ Consultations. Helping clients revitalize everyday life by integrating the meaning and extra-ordinary gifts of spiritual emergence, transpersonal experiences and “personal paradigm shift” phenomena is my focus as a therapist. These extra-ordinary experiences can arise in many ways. 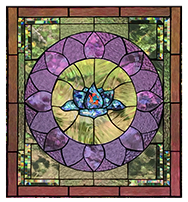 ­Meditation, yoga, spiritual practices, breathwork, depression, childbirth, trauma regression, entheogenic medicines, addiction recovery, hypnosis, and energy release therapies all might serve as catalysts. “Personal paradigm shift” is a term I coined to describe when someone’s belief system is transformed through the catalyst of a profound experience. Because they are seeing themselves and their world differently, their existing paradigm feels too small and limiting. An image of a butterfly emerging from its cocoon is a universal symbol of this liberating experience. Learn about my therapy practice. NEW! Rick Archer at Buddha at the Gas Pump will interview me on May 18, 2019. Listen to my Live Online Interview with Rick Archer at Buddha at the Gas Pump. We’ll talk about a range of topics related to ethics, paradigm shifts and extraordinary states. Possible topics, among many others, may include: the special needs of clients in profound states of consciousness, the role of self-reflection and compassion in ethical behavior, ethical considerations for doing psychedelic work with women [from my upcoming article for the Multidisciplinary Association for Psychedelic Studies (MAPS)], the role of power imbalance on the ethical behavior of a “responsible party,” everyday ethics, and my personal kundalini opening experience. The Ethics of Caring is a unique and widely recommended text that complements standard ethics texts by helping the student or professional find right relationship with a client. Written for practicing therapy and medical professionals, bodyworkers, clergy, students, teachers, supervisors, and mentors, the InnerEthics™ model first promotes self-compassion, then gently guides self-reflection about unconscious countertransference that often occurs in the main areas of human life. The book illuminates many extraordinary types of human experiences to help professionals become aware in case clients bring these profound states in some way to the professional for support. The Ethics of Caring received the Silver Medal book award from Nautilus Book Awards in the category “Relationships and Communication.” Published November 1, 2017. Read more praise for The Ethics of Caring.